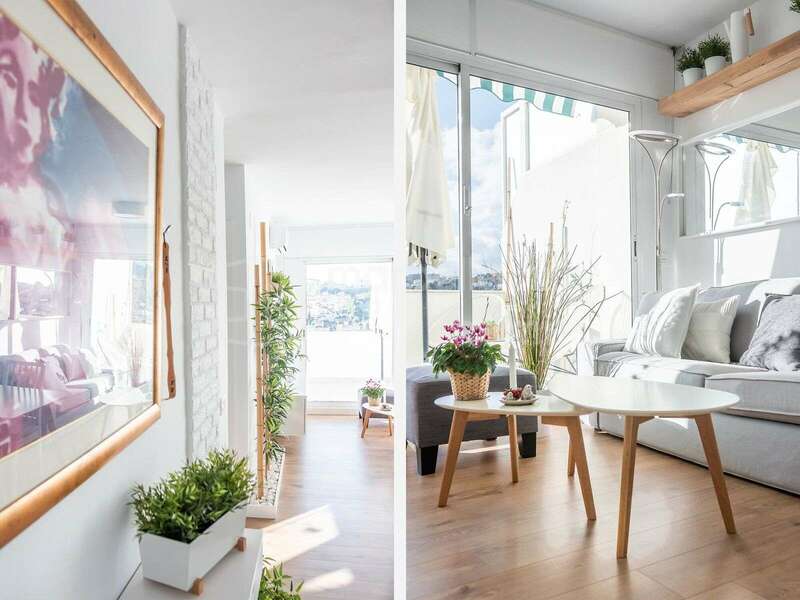 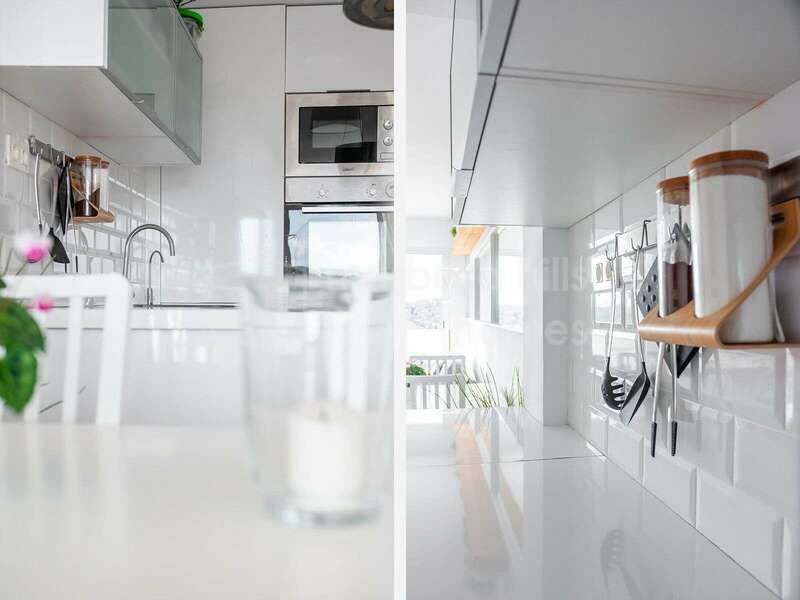 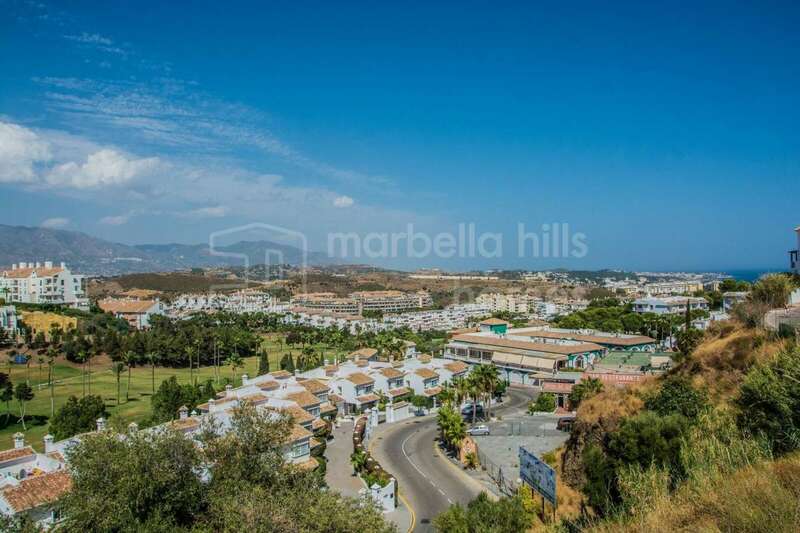 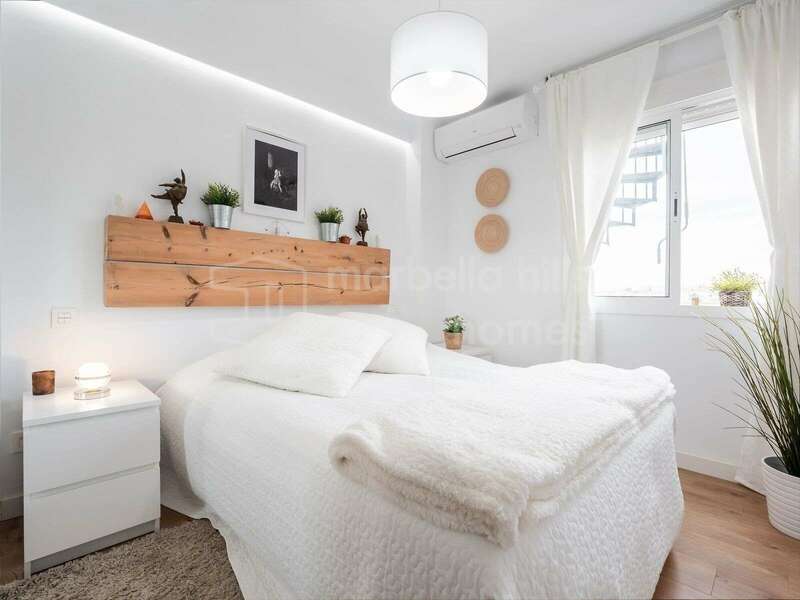 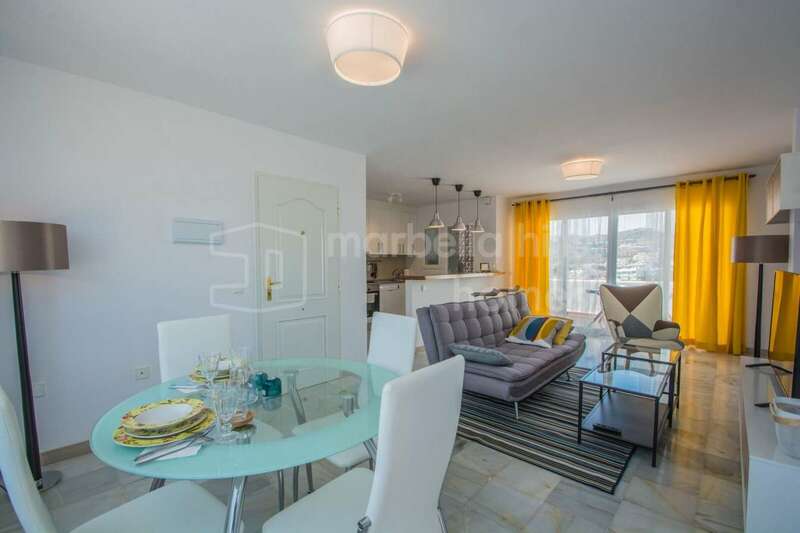 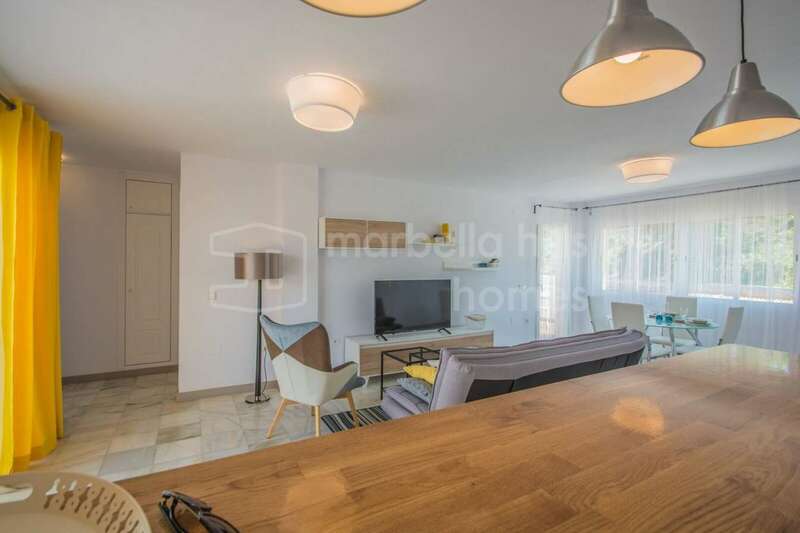 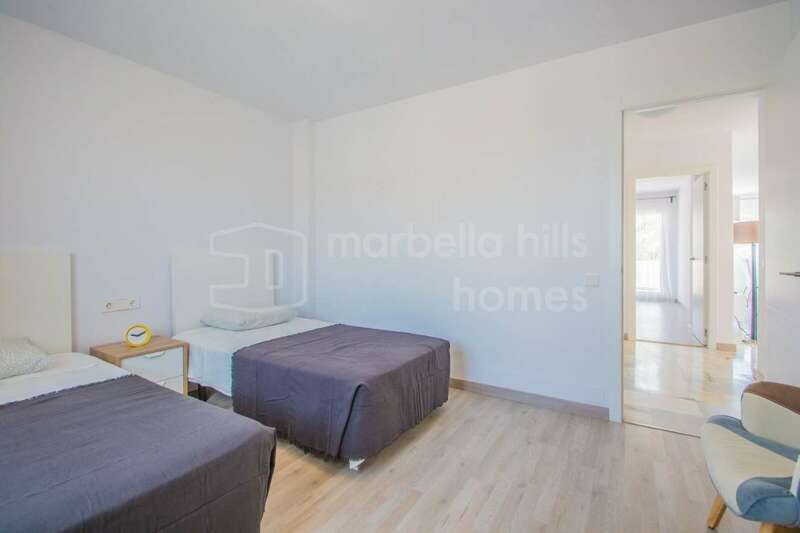 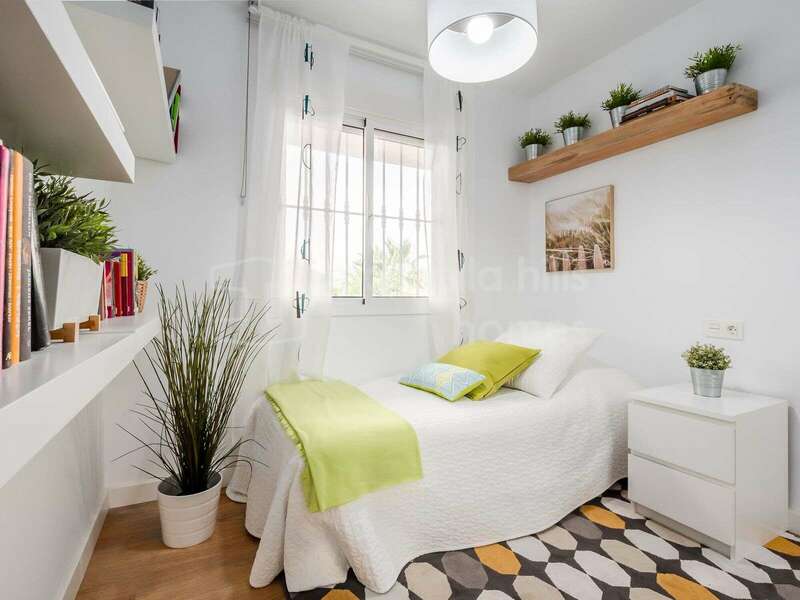 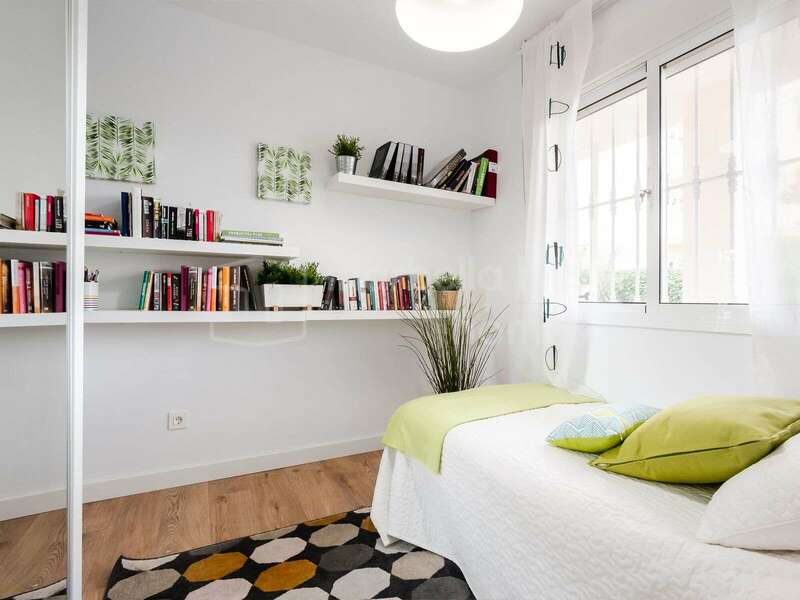 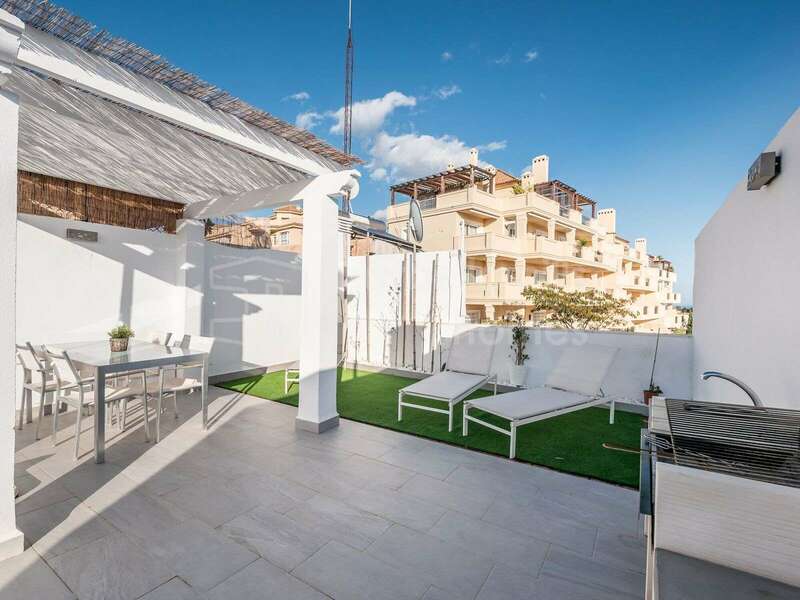 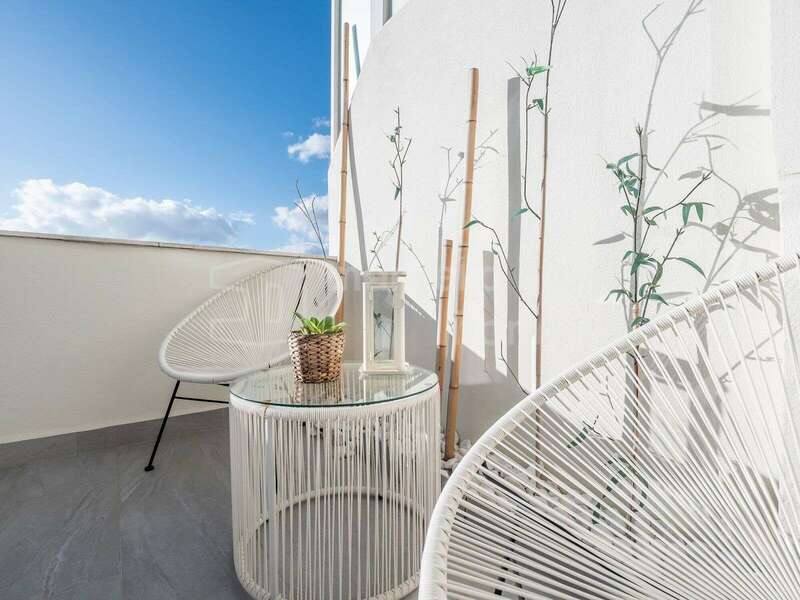 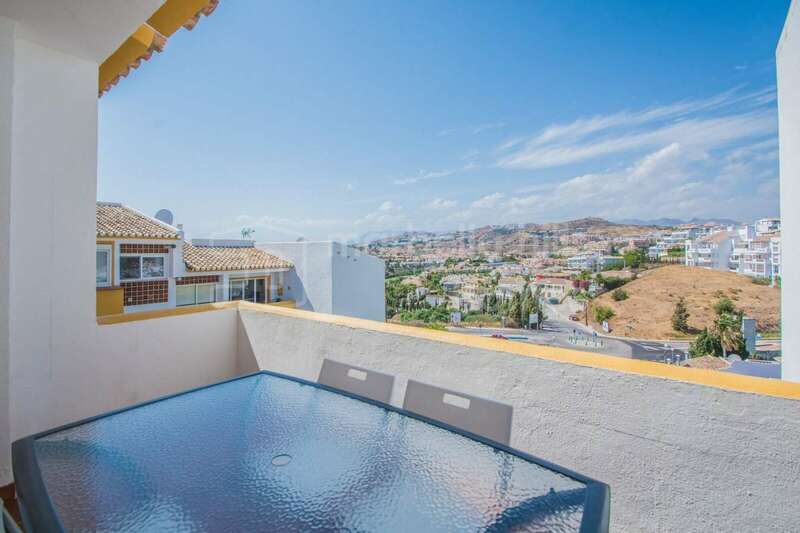 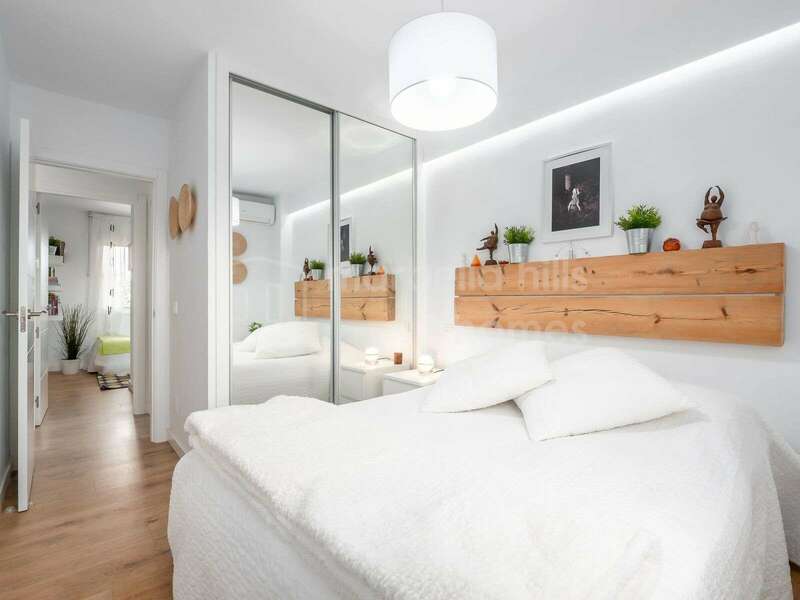 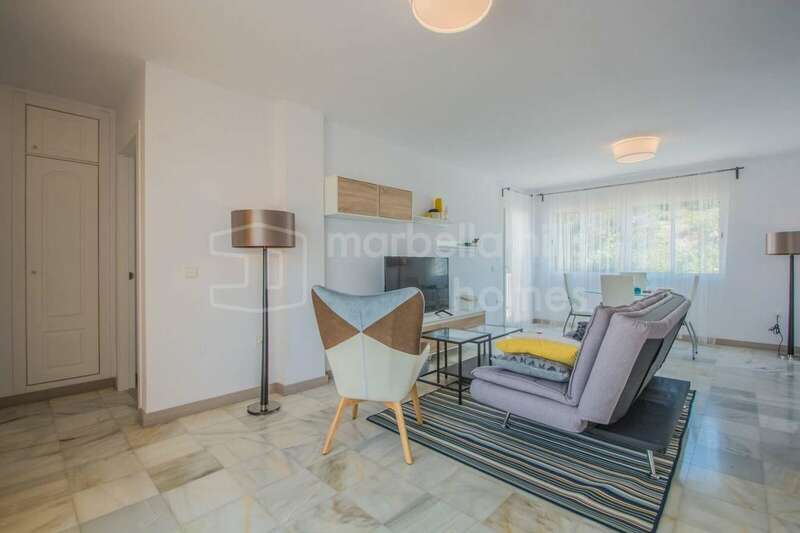 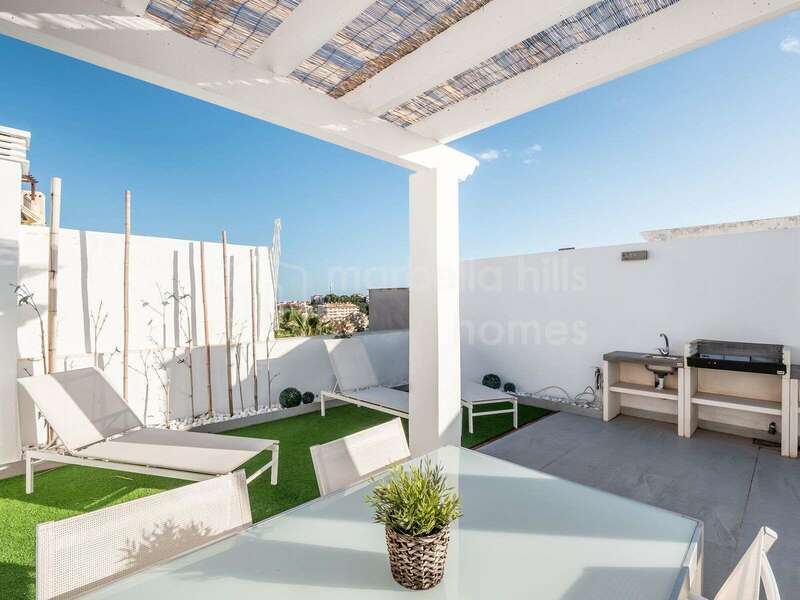 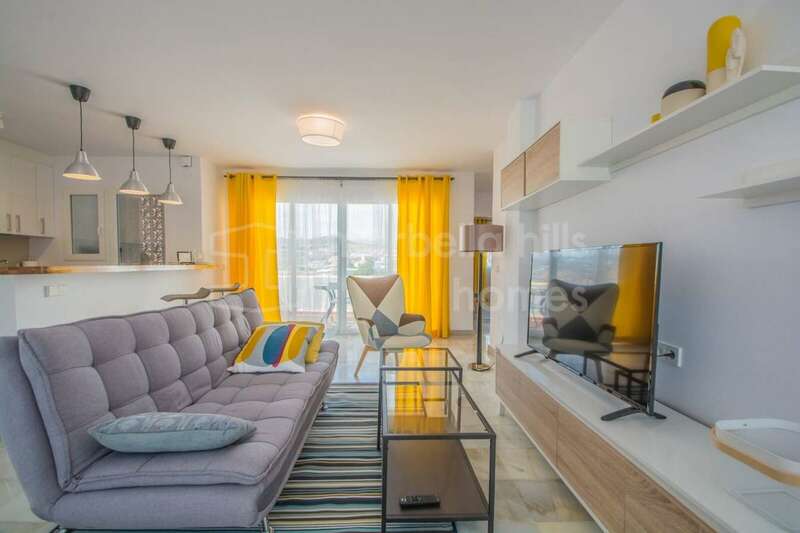 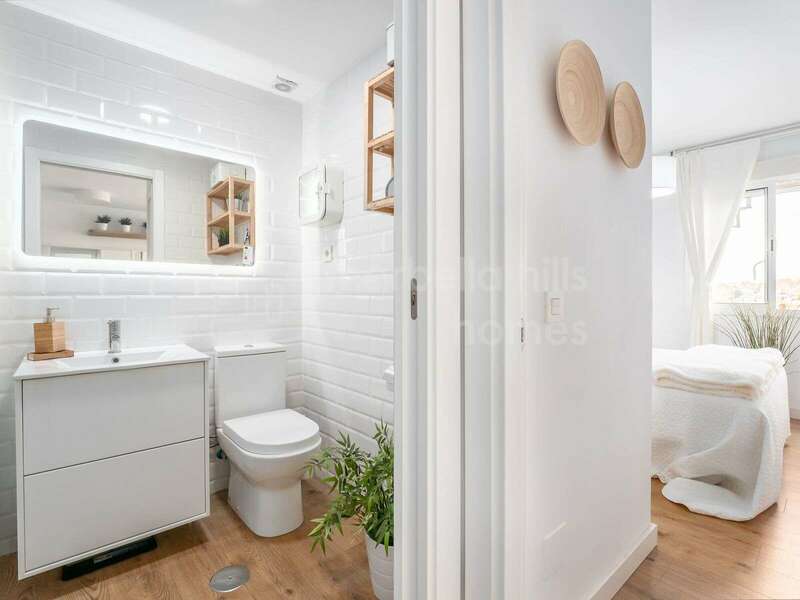 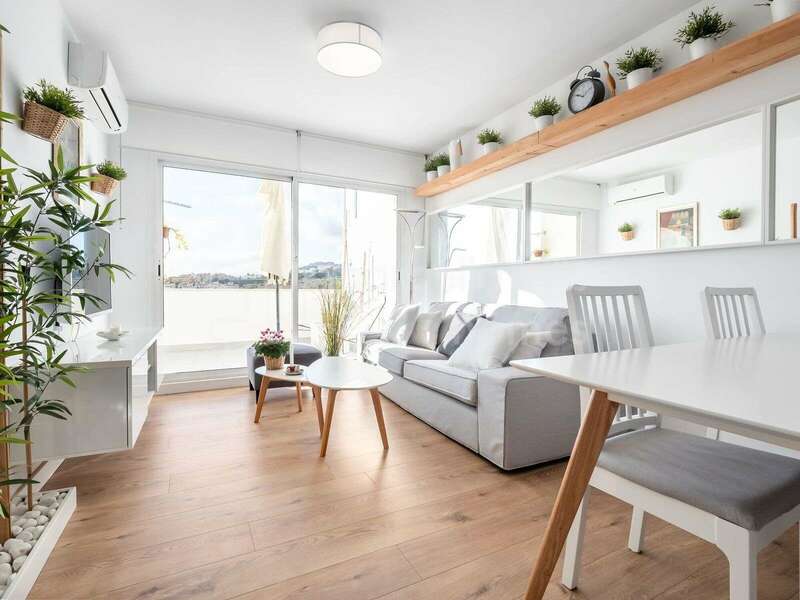 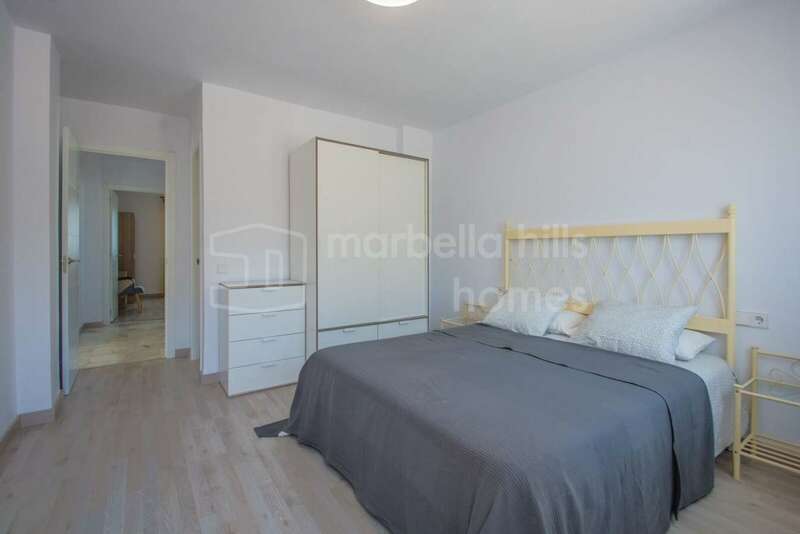 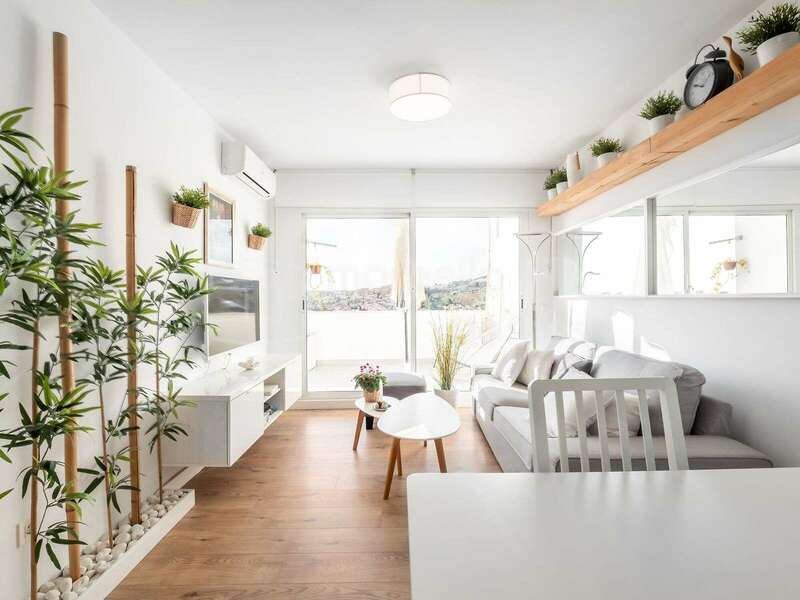 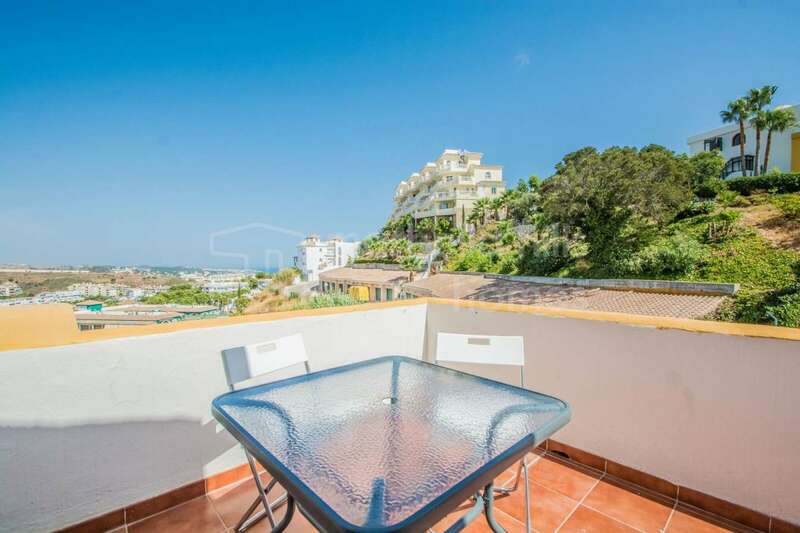 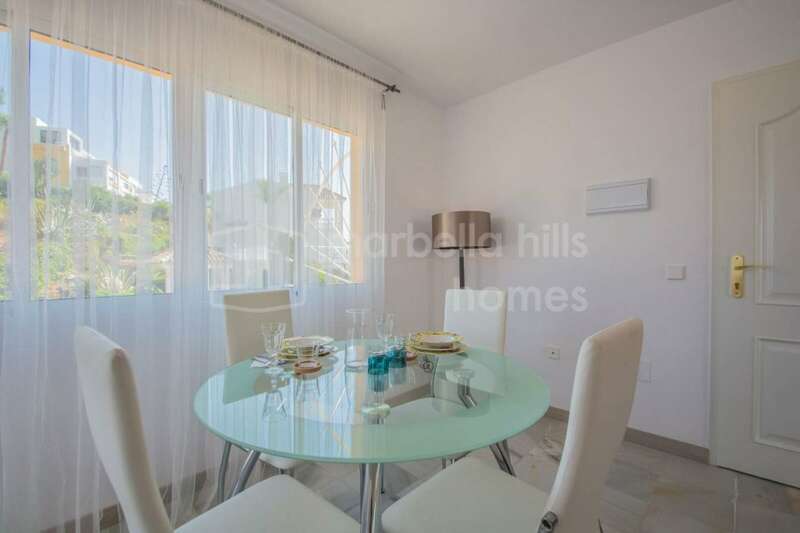 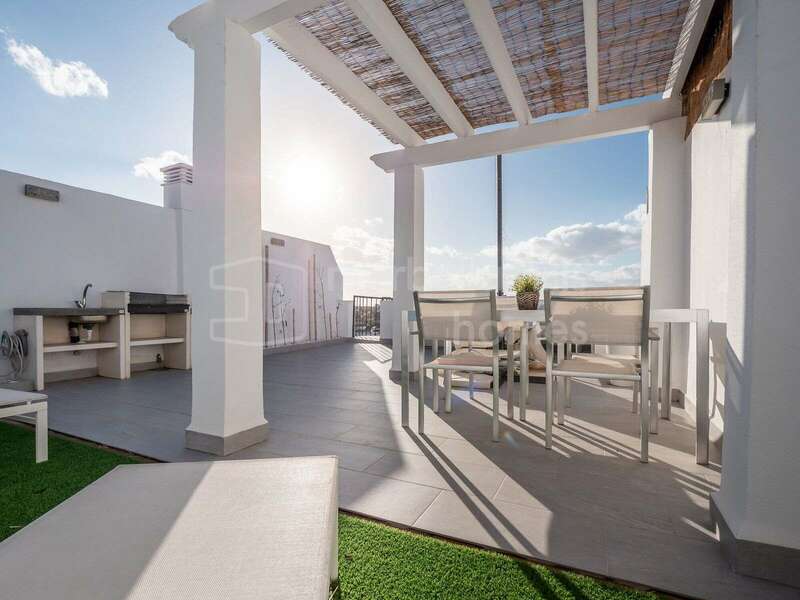 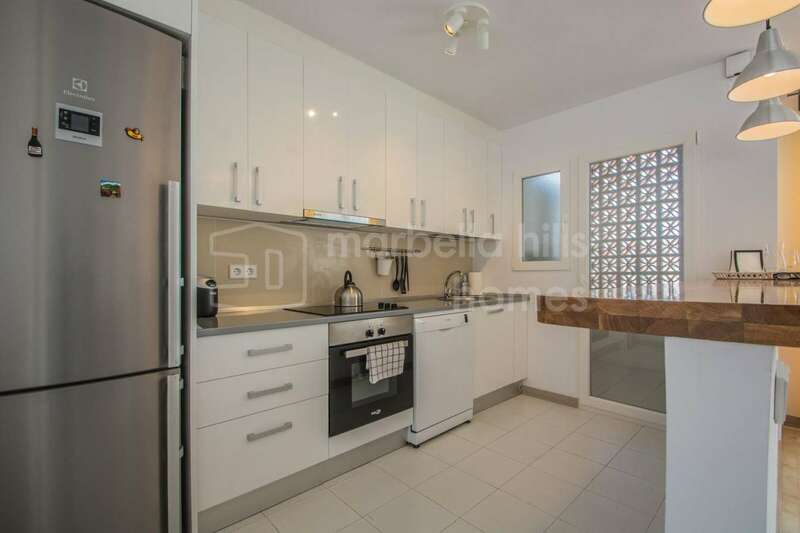 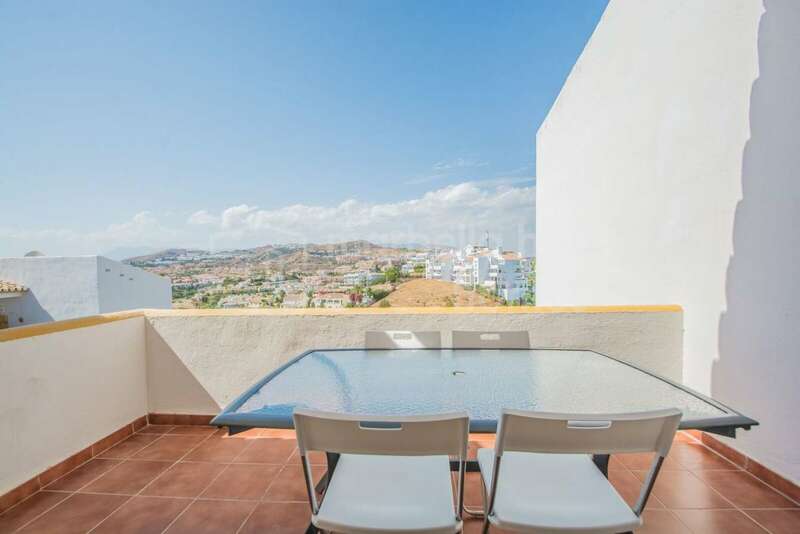 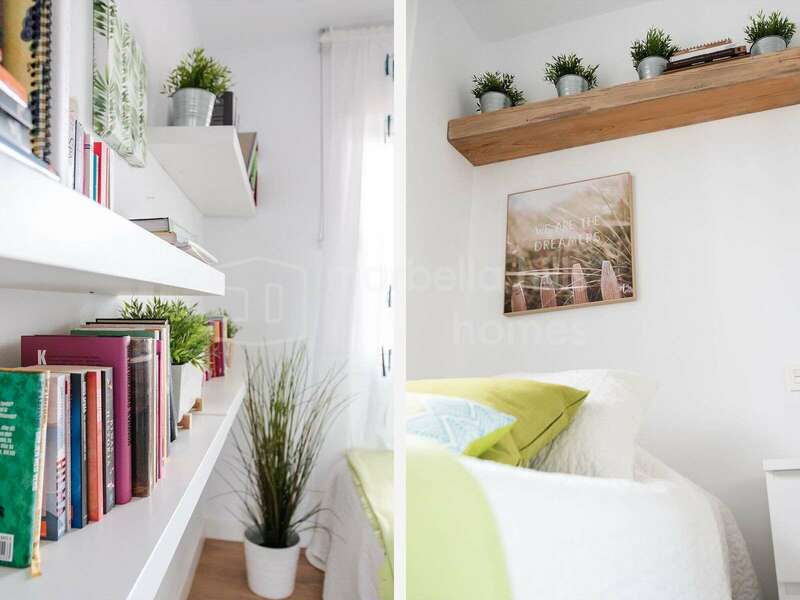 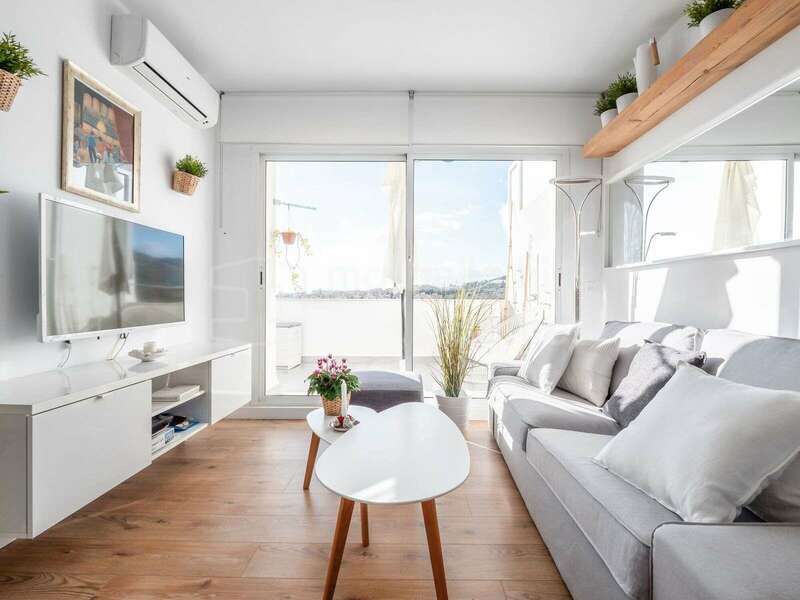 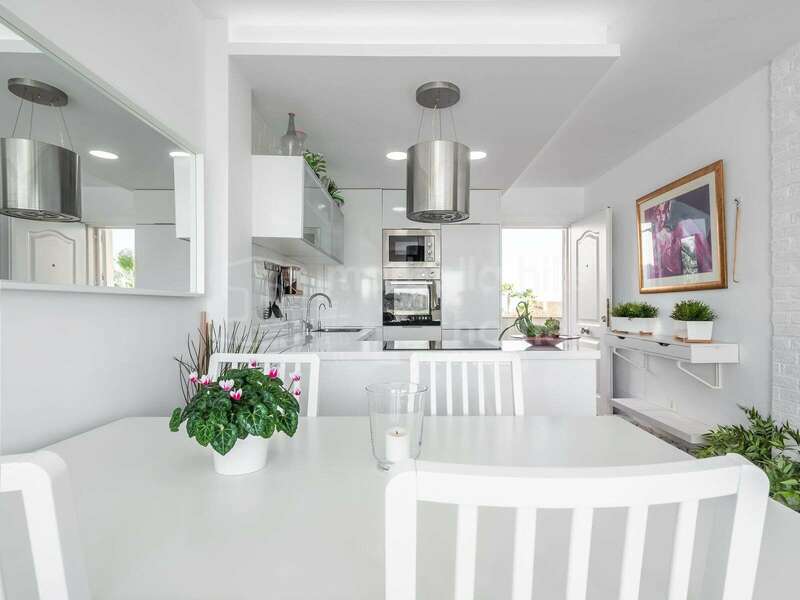 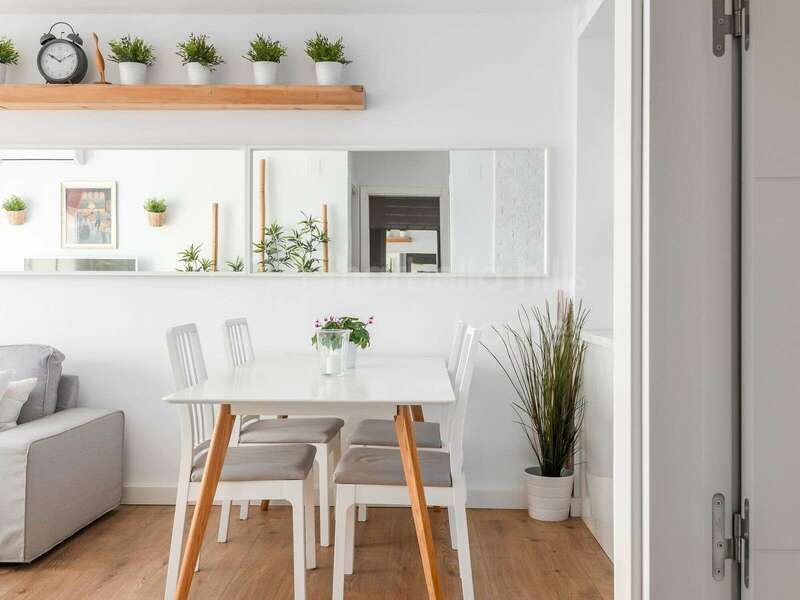 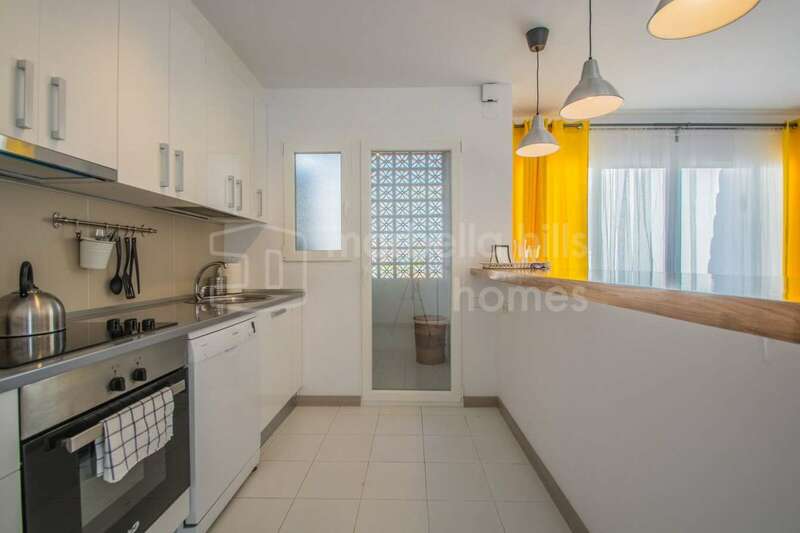 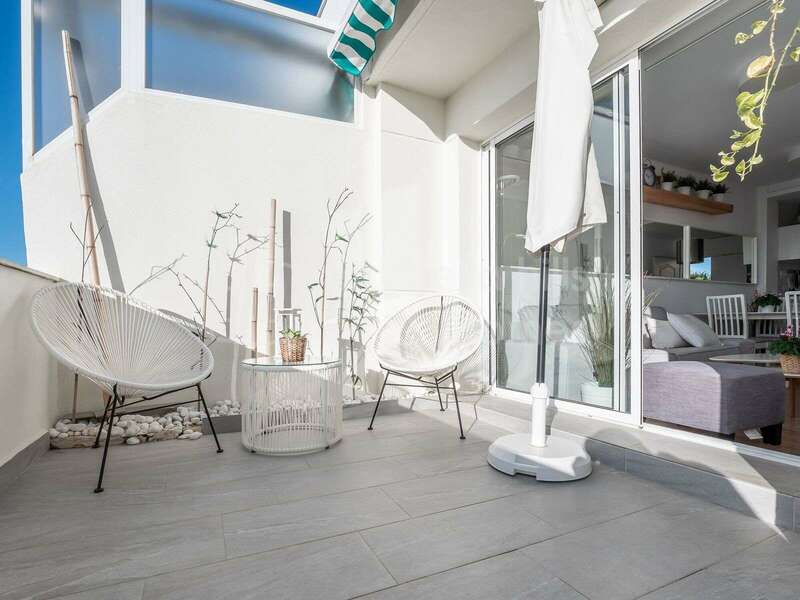 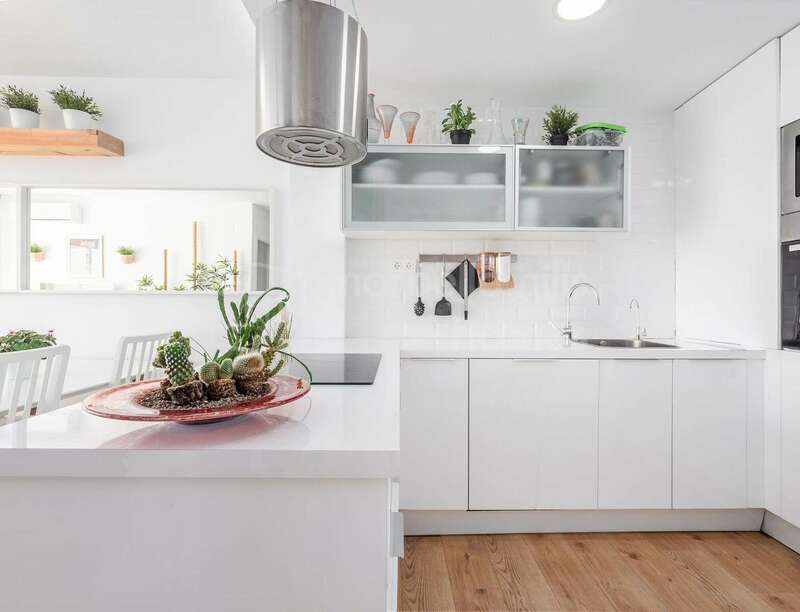 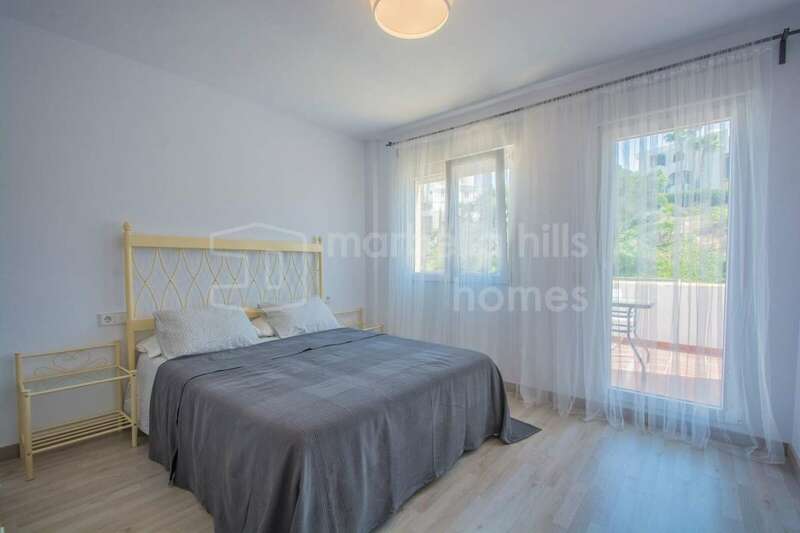 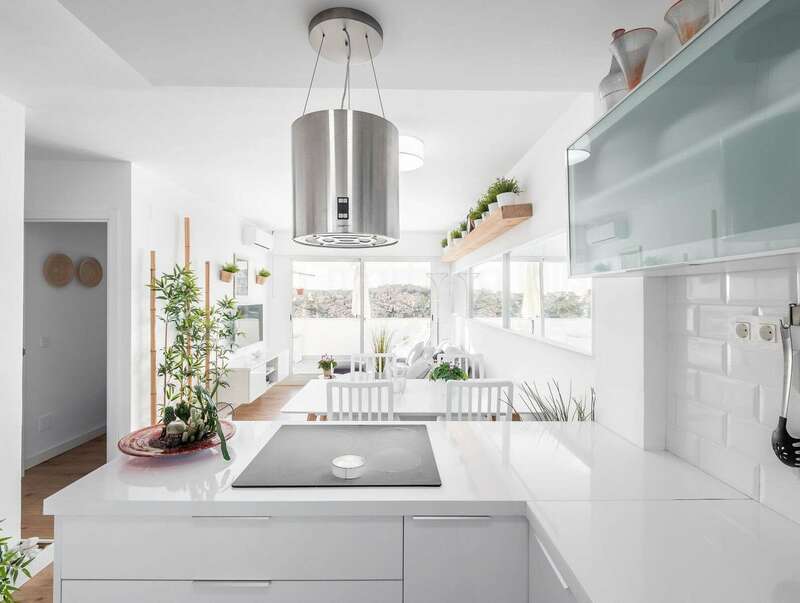 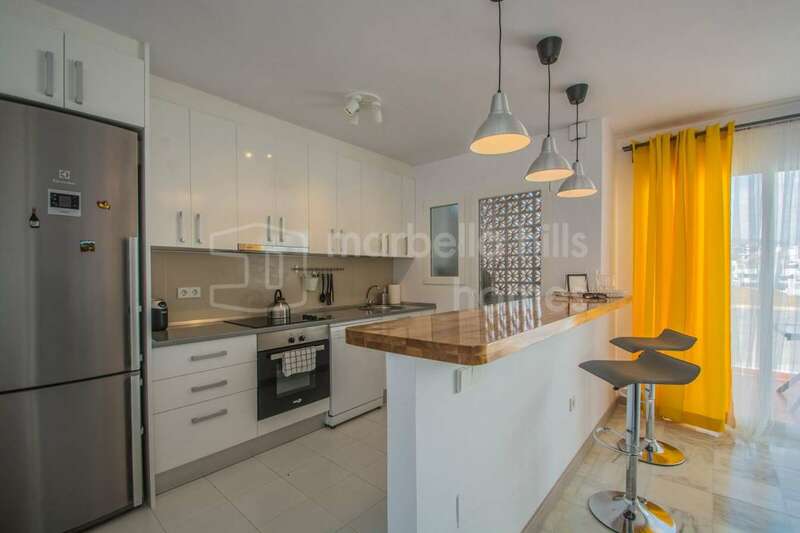 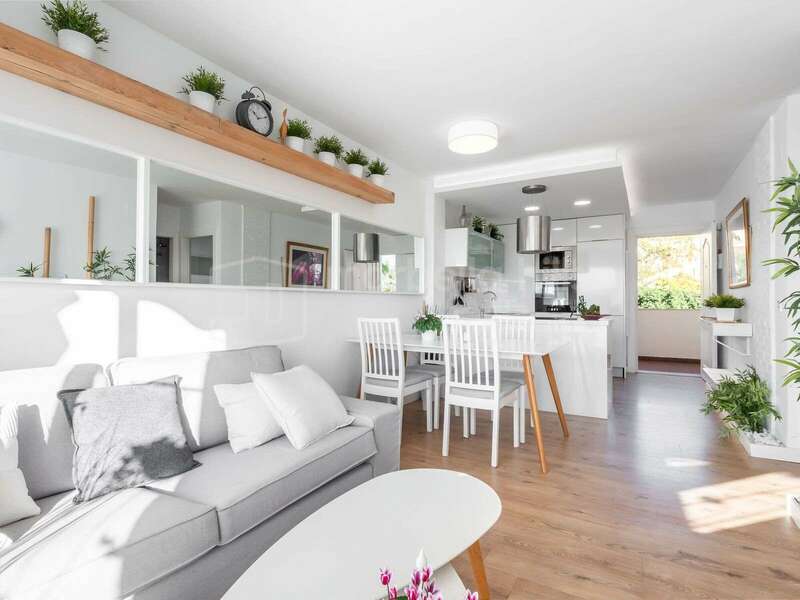 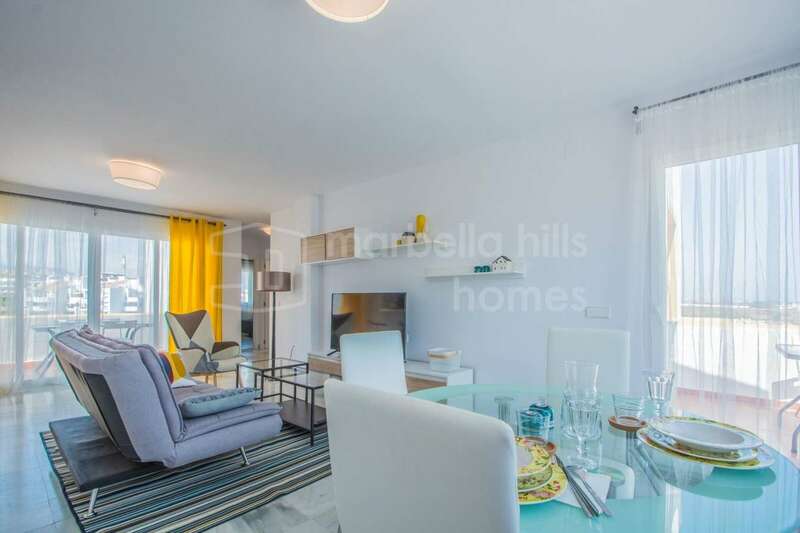 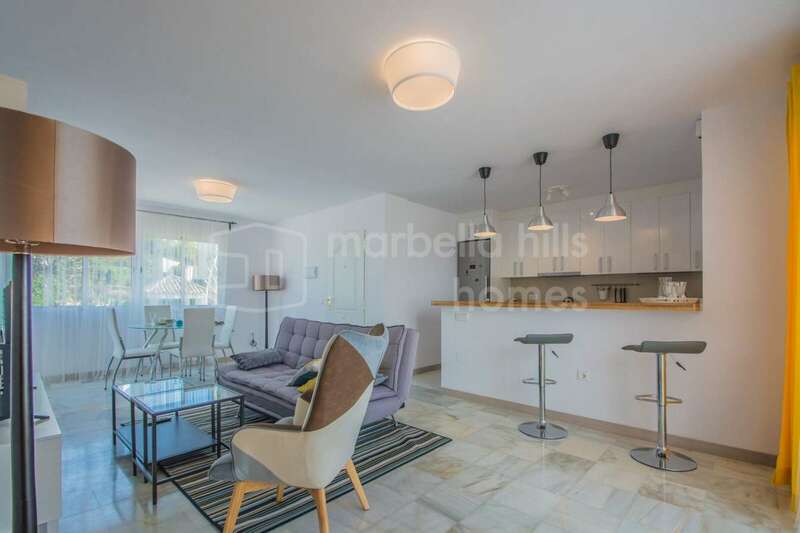 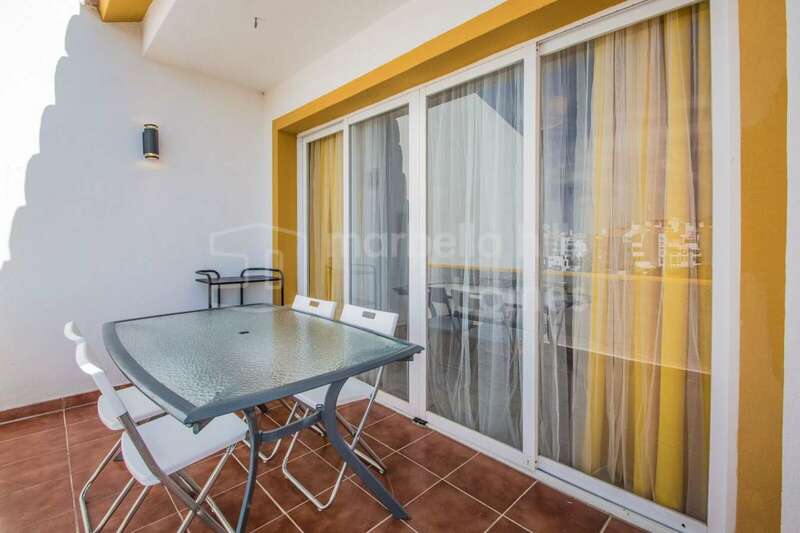 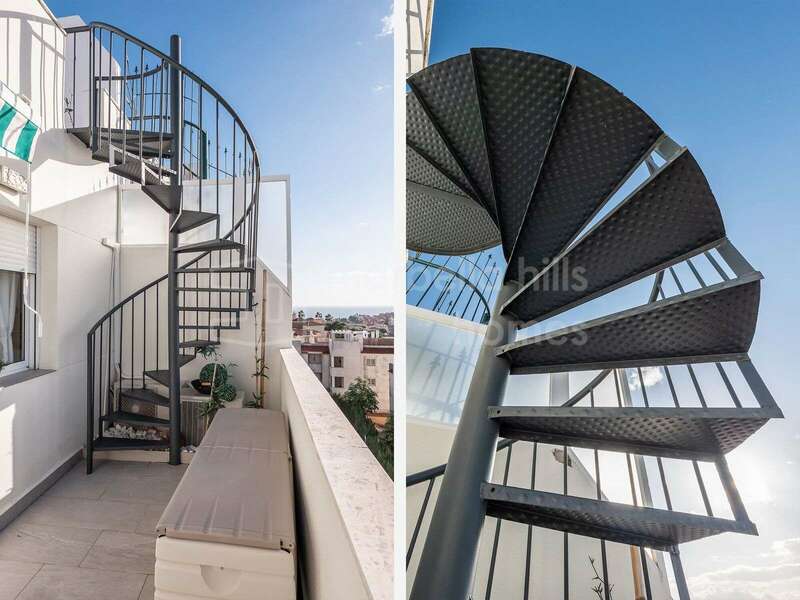 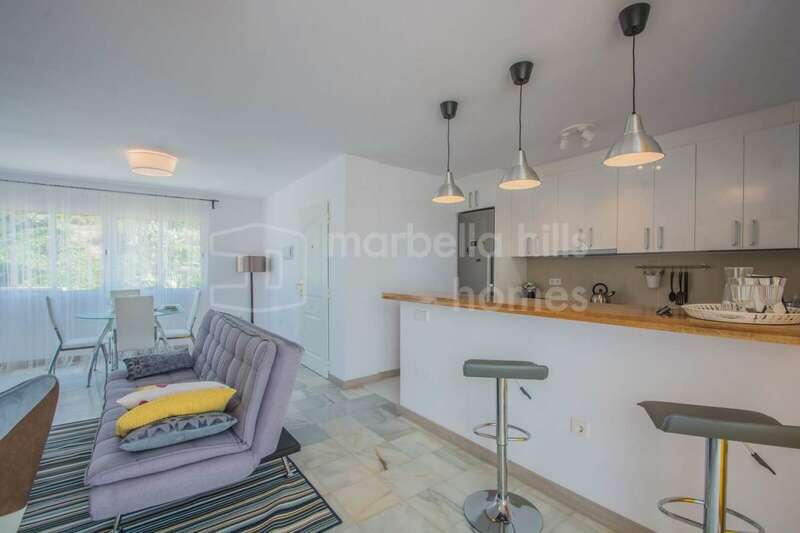 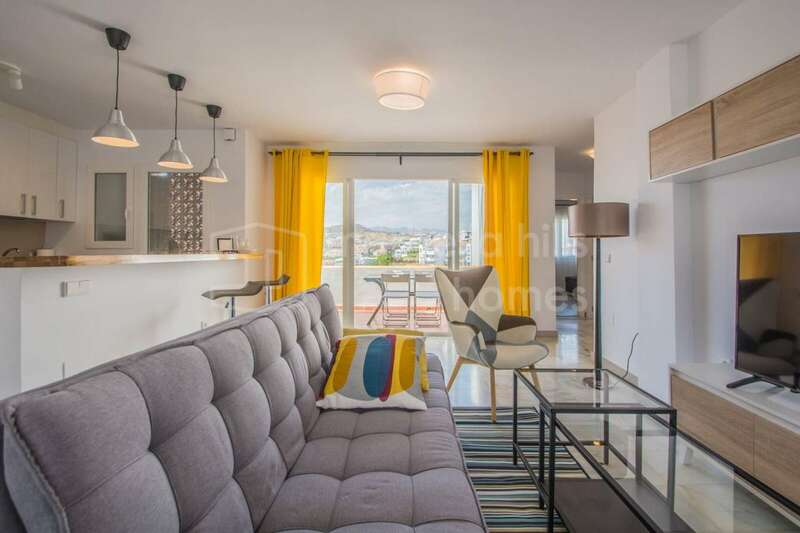 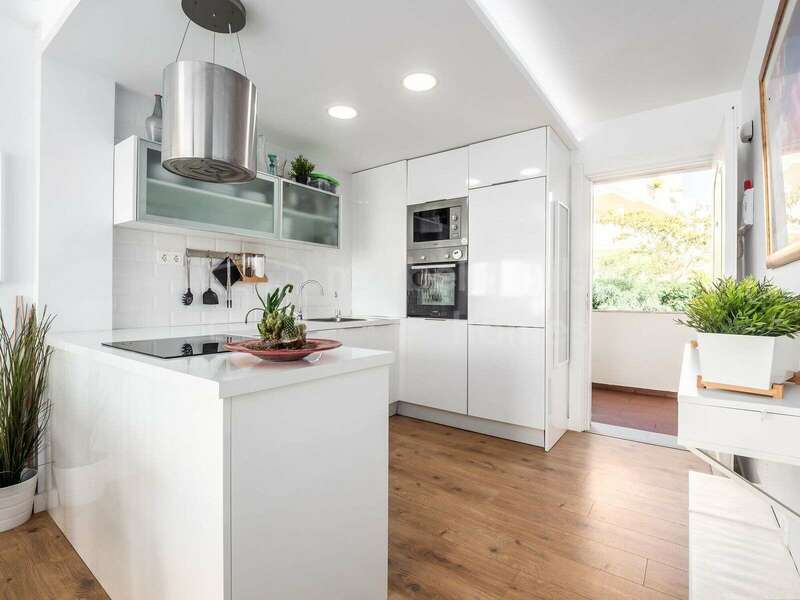 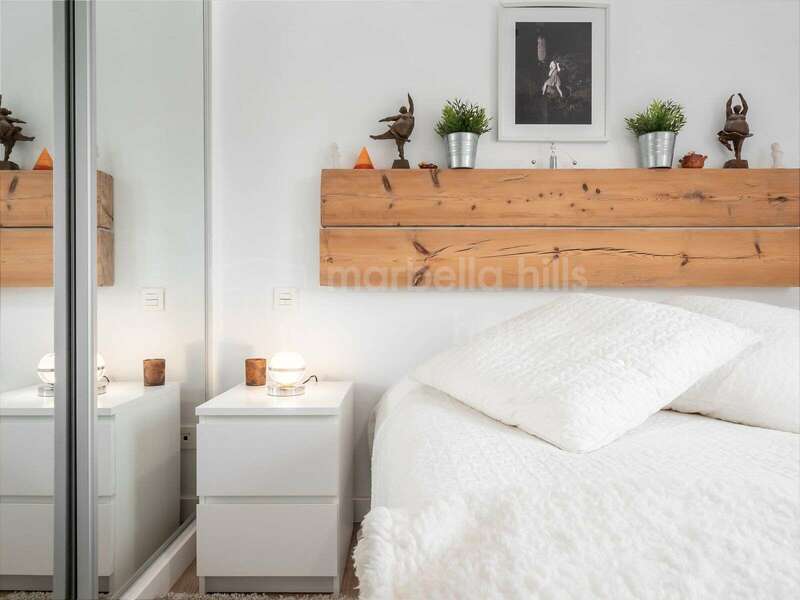 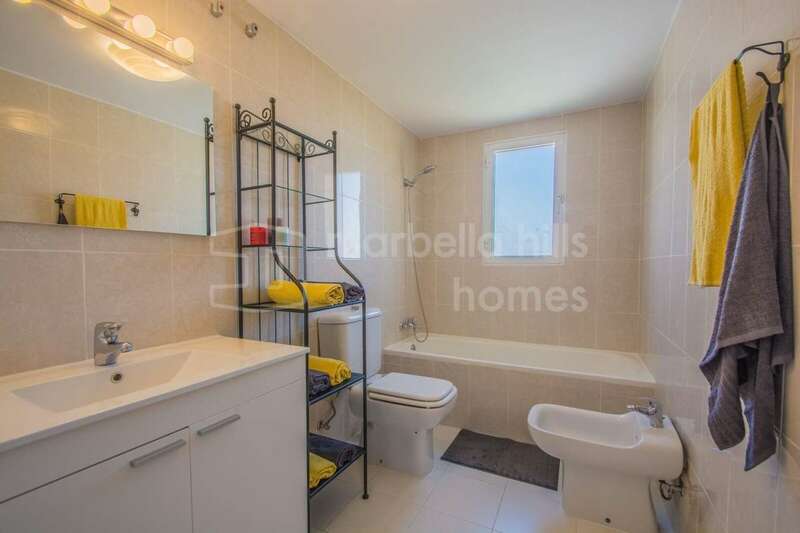 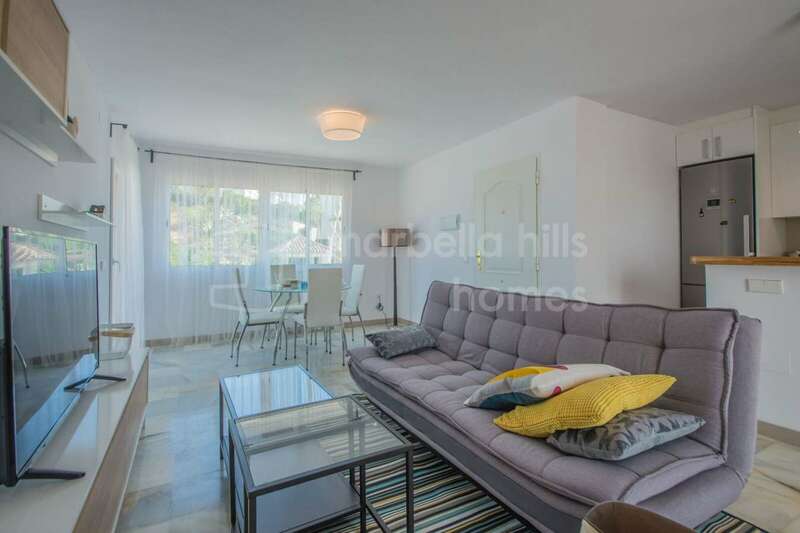 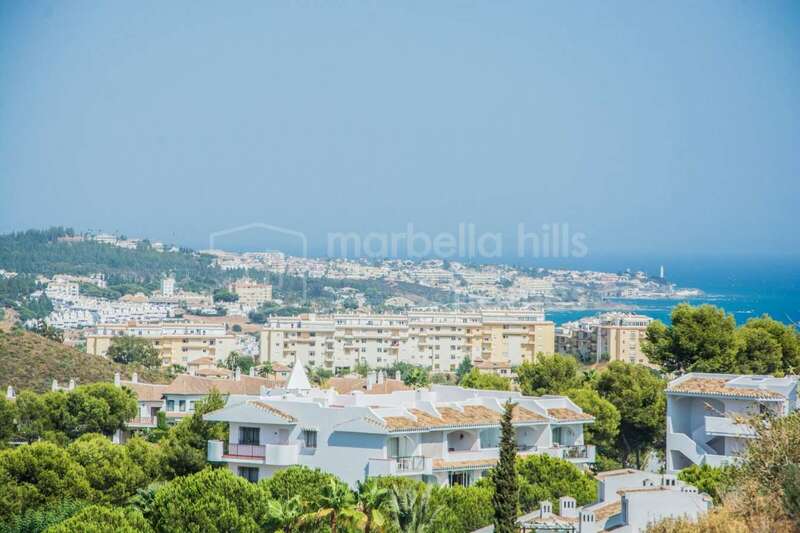 Elegant modern two bedroom penthouse recently completely renovated ideally located in Mijas Costa within the private and secure residential area of Riviera del Sol. 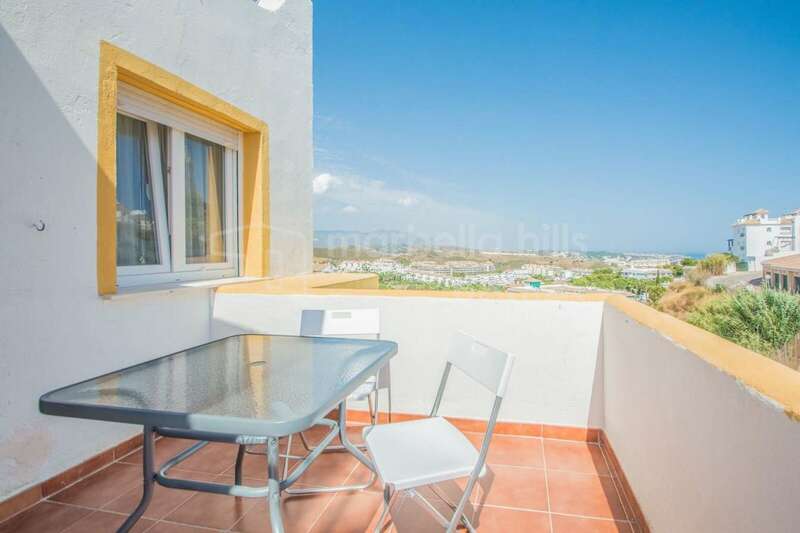 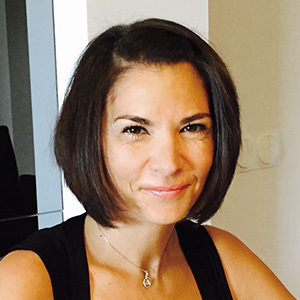 Solarium – Panoramic sea and mountain views. 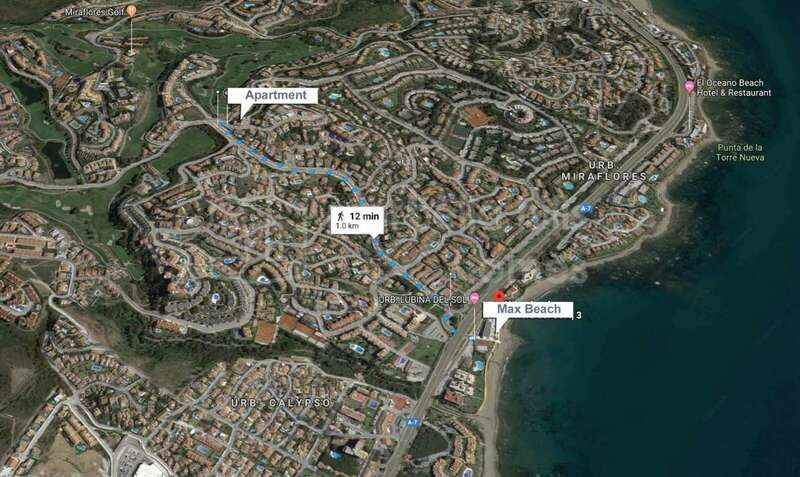 Close to golf courses, the beach and all amenities. 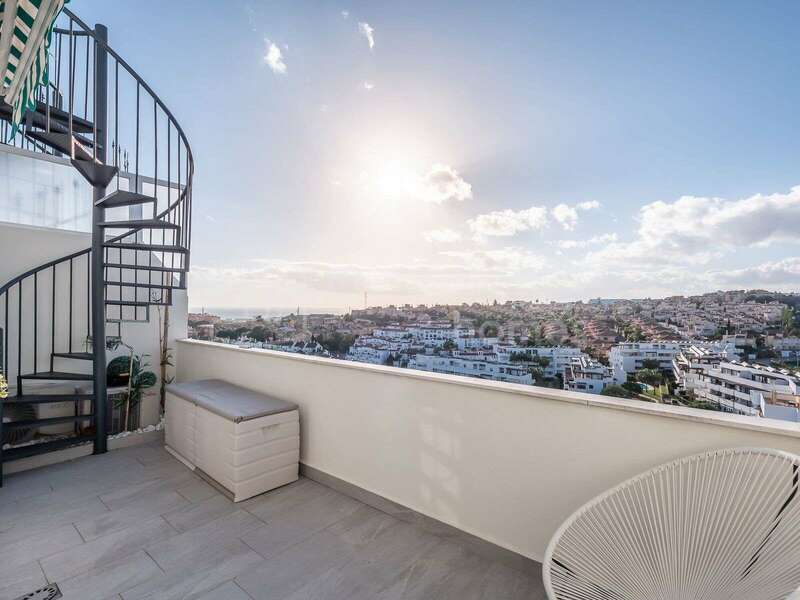 Attractive price ! 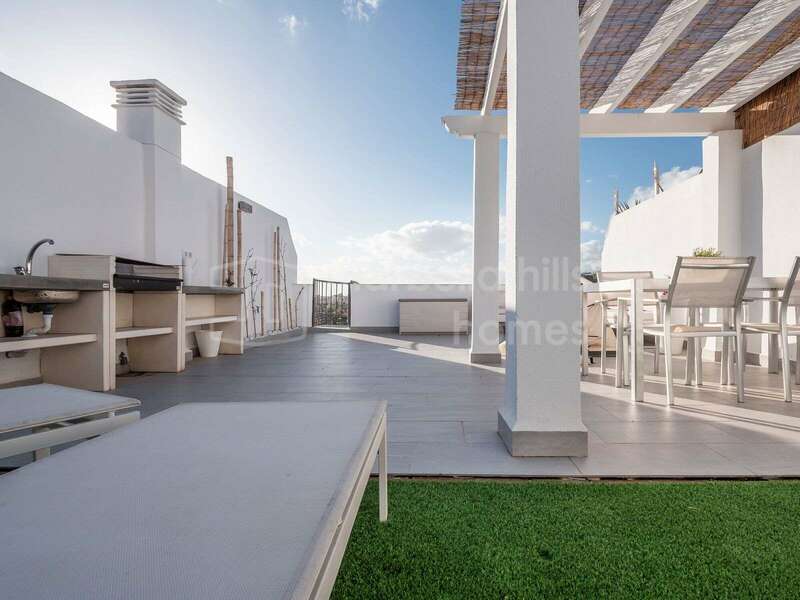 This spacious penthouse offers a large living / dining room with direct access to a covered terrace, a fully equipped high-tech open kitchen, a master suite with private bathroom, a guest room with bathroom. 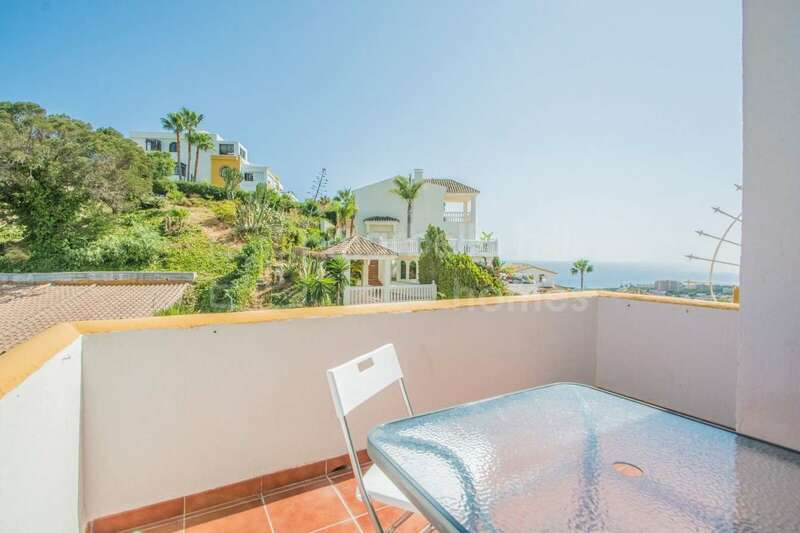 An outside staircase leads to a solarium terrace offering superb panoramic views of the sea and the mountains. 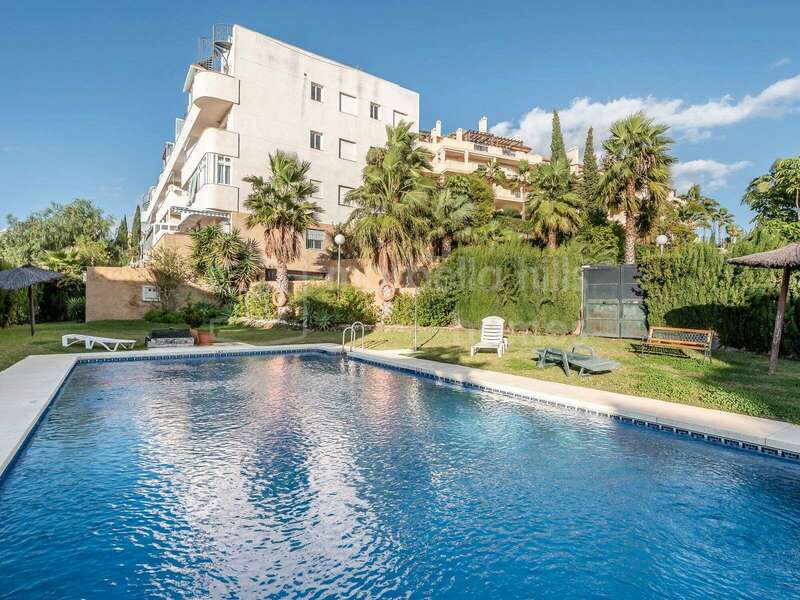 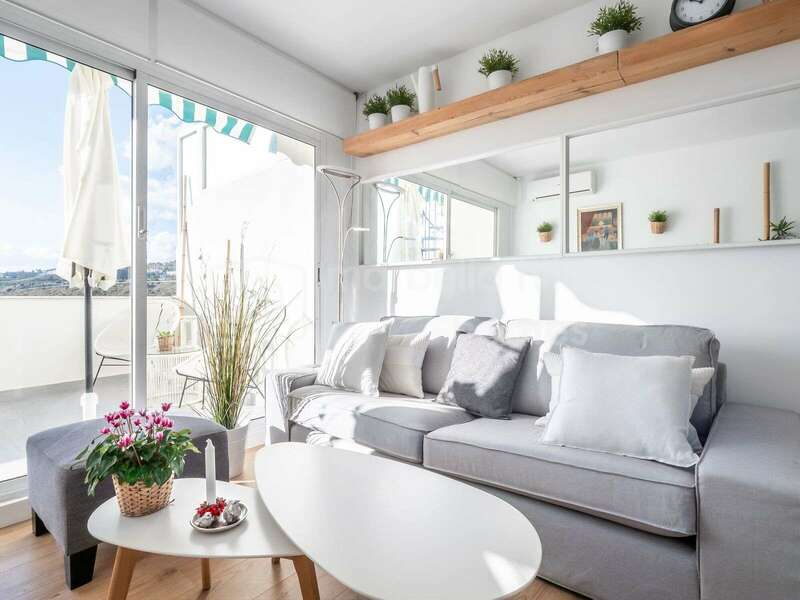 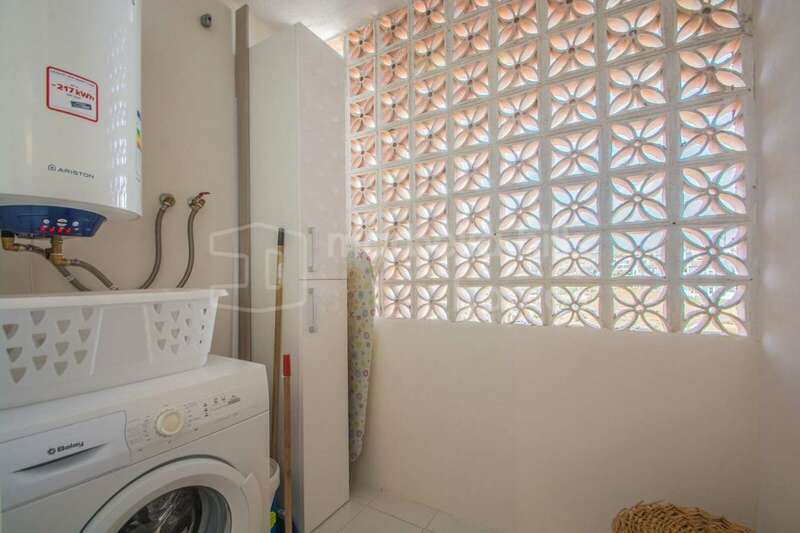 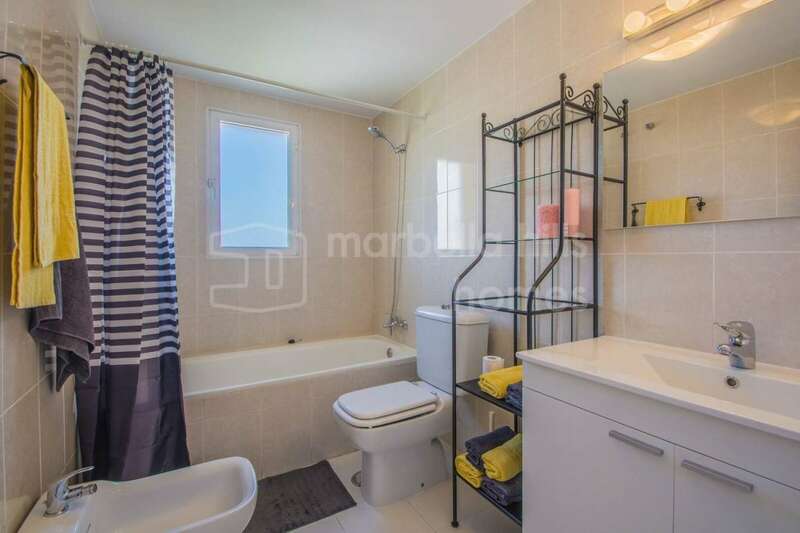 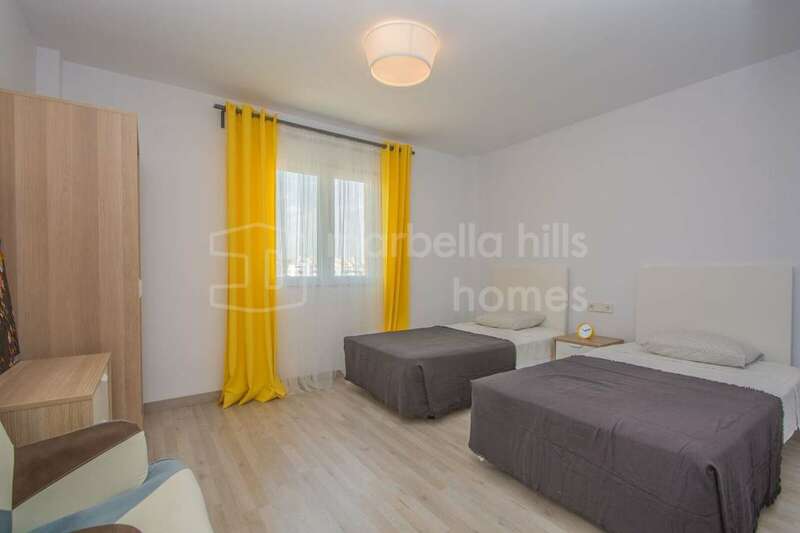 The popular resort of Riviera del Sol, near the sea (3 km) and just 5 minutes walk from all shops, offers beautiful Mediterranean gardens and a beautiful swimming pool. 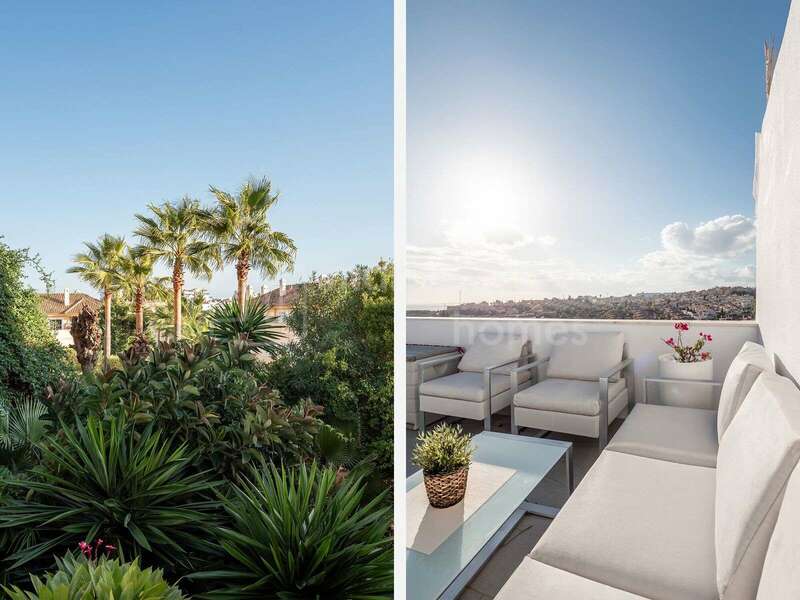 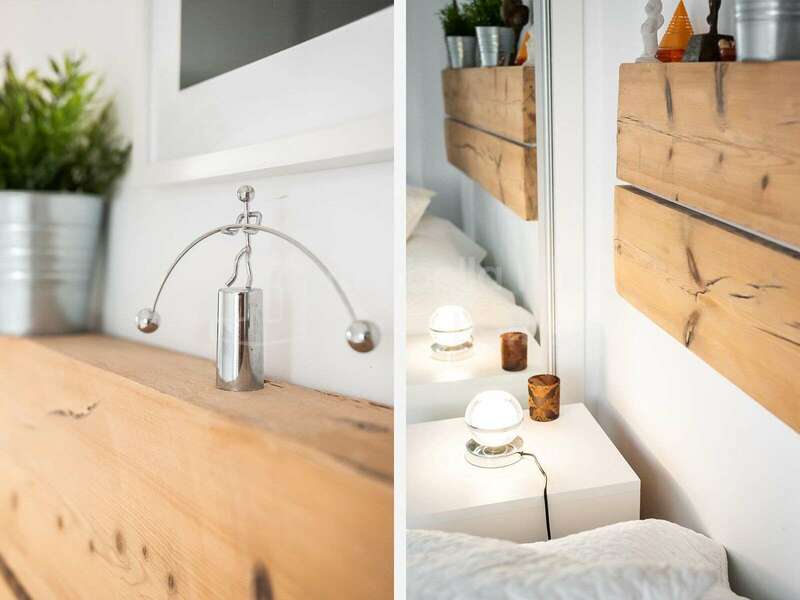 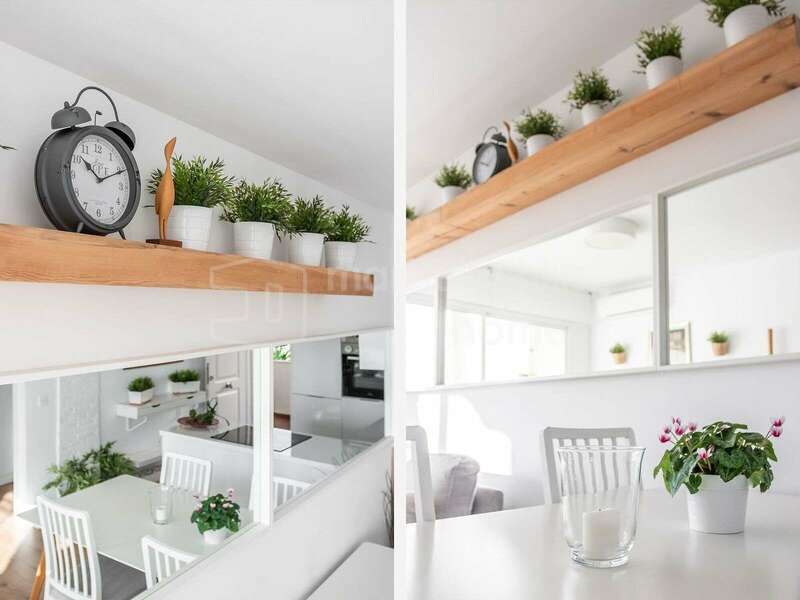 An impeccable penthouse in an idyllic area. 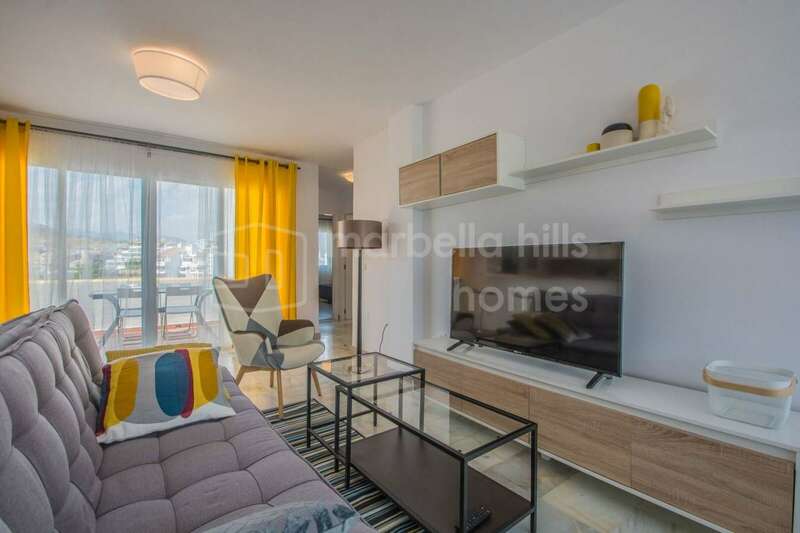 Fully fitted kitchen, Close to shops, Pets allowed, Marble floors, Satellite TV, Guest room, Solarium, Double glazing, Dining room, Mountainside, Kitchen equipped, Living room, Amenities near, Sea view, Covered terrace, Fitted wardrobes, Gated community, Air conditioning, Lift, Panoramic view, Close to Golf, Uncovered terrace, Open plan kitchen, Optional furniture, Excellent condition, Recently Renovated/Refurbished.